(?) Luxton married (?) Peterson. Married Name Her married name was (?) Luxton. (?) Peterson married (?) Luxton. Adolph Oleson was born on 28 April 1870. He married Lillian May White, daughter of Lott White Sr. and Mary E. Yeager, circa 1892. Adolph Oleson married Neva Aletha Tuttle on 21 August 1917. Adolph Oleson died on 20 July 1959 at age 89. Married Name 21 August 1917 As of 21 August 1917,her married name was Oleson. Neva Aletha Tuttle married Adolph Oleson on 21 August 1917. Floyd E. Oleson was born on 6 July 1895. He was the son of Adolph Oleson and Lillian May White. Floyd E. Oleson married Ethel E. Turgeson on 19 November 1914. Floyd E. Oleson died on 30 July 1973 at age 78. Name Variation Ethel E. Turgeson was also known as Turgason. Married Name 19 November 1914 As of 19 November 1914,her married name was Oleson. Ethel E. Turgeson was born on 3 June 1895. She married Floyd E. Oleson, son of Adolph Oleson and Lillian May White, on 19 November 1914. Ethel E. Turgeson died on 10 November 1979 at age 84. Lavina Christina Oleson was born on 20 November 1907. She was the daughter of Adolph Oleson and Lillian May White. Lavina Christina Oleson died on 6 April 1909 at age 1. William Kaye was born circa 1857 at England. He married Maren Christine Johnson, daughter of John Johnson and Augusta Thorkildsdatter, before 1882. William Kaye died before 1900. Name Variation Maren Christine Johnson was also known as Mary. Name Variation Maren Christine Johnson was also known as Christine. Name Variation Maren Christine Johnson was also known as K. A. Married Name before 1882 As of before 1882,her married name was Kaye. Maren Christine Johnson was born on 11 May 1856 at Wisconsin also reported as May 1850. She was the daughter of John Johnson and Augusta Thorkildsdatter. Maren Christine Johnson married William Kaye before 1882. Maren Christine Johnson had 2 with 2 living in 1900 children. [S248] U.S. Federal Census 1860 U.S. Federal Census, by Ancestry.com, Year: 1860; Census Place: Rowley, Manitowoc, Wisconsin; Roll M653_1418; Page: 820; Image: 498; Family History Library Film: 805418. [S245] U.S. Federal Census 1900 U.S. Federal Census, by Ancestry.com, Year: 1900; Census Place: Sioux Falls Ward 1, Minnehaha, South Dakota; Roll T623_1553; Page: 17A; Enumeration District: 260. John Johnson was born on 15 December 1827 at Norway. He was the son of Halver Johannessen and Ingeborg Tjerandsdatter. John Johnson married Karin Hansdatter before 1850 at first marriage for him. John Johnson married Augusta Thorkildsdatter on 4 August 1855 at second marriage for him, Green Bay, Brown, Wisconsin. John Johnson died on 8 September 1900 at Washington at age 72. [S246] U.S. Federal Census 1880 U.S. Federal Census, by Ancestry.com, NA Film Number T9-0114 Page Number 320C. [S245] U.S. Federal Census 1900 U.S. Federal Census, by Ancestry.com, Year: 1900; Census Place: Port Angeles, Clallam, Washington; Roll T623_ 1742; Page: 8B; Enumeration District: 19. Name Variation Augusta Thorkildsdatter was also known as Gonvor. Name Variation Augusta Thorkildsdatter was also known as Gusty M.
Married Name 4 August 1855 As of 4 August 1855,her married name was Johnson. Augusta Thorkildsdatter was born in August 1833 at Norway. She married John Johnson, son of Halver Johannessen and Ingeborg Tjerandsdatter, on 4 August 1855 at second marriage for him, Green Bay, Brown, Wisconsin. Augusta Thorkildsdatter died in 1903. Augusta Thorkildsdatter had 9 with 7 living in 1900 children. Married Name before 1850 As of before 1850,her married name was Johnson. Karin Hansdatter was born in 1825 at Norway. She married John Johnson, son of Halver Johannessen and Ingeborg Tjerandsdatter, before 1850 at first marriage for him. Karin Hansdatter died on 24 July 1854 at Wisconsin. Arthur Kaye was born in September 1882 at Woodbury, Iowa, also reported as Nebraska. He was the son of William Kaye and Maren Christine Johnson. Name Variation Ella V. Johnson was also known as Elvina. Ella V. Johnson was born in October 1878 at Dakota Territory. Albert Tobias Johnson was born in 1858 at Wisconsin. He was the son of John Johnson and Augusta Thorkildsdatter. Albert Tobias Johnson died in 1921. George Emanuel Johnson was born in 1862 at Wisconsin. George Emanuel Johnson died in 1936. Julius Johnson was born in 1863 at Wisconsin. Name Variation Emilie Johnson was also known as Amelia. Emilie Johnson was born in 1866 at Wisconsin. Cornelius Johnson was born in 1869 at Wisconsin. Cornelius Johnson died in 1912. Name Variation Abraham Daniel Johnson was also known as Daniel. Abraham Daniel Johnson was born in 1871 at Wisconsin. Abraham Daniel Johnson died in 1945. Anton Obed Johnson was born in 1874 at Wisconsin. Name Variation Ingeborg Tjerandsdatter was also known as Engibor. Name Variation Ingeborg Tjerandsdatter was also known as Kjaerrandsdatter. Married Name before 1827 As of before 1827,her married name was Johnson. Married Name before 1827 As of before 1827,her married name was Johannessen. Ingeborg Tjerandsdatter was born in 1804 at Norway. She was the daughter of Tjerand (?). Ingeborg Tjerandsdatter married Halver Johannessen before 1827. Ingeborg Tjerandsdatter died after June 1880. Name Variation Halver Johannessen was also known as Johnson. Halver Johannessen was born in 1802 at Norway. He married Ingeborg Tjerandsdatter, daughter of Tjerand (? ), before 1827. Halver Johannessen died on 9 May 1864 at Manitowoc, Wisconsin. Name Variation Helmick Elias Johnson was also known as Helmet. 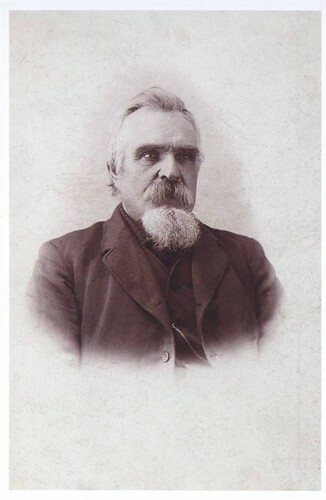 Helmick Elias Johnson was born in 1853 at Wisconsin. He was the son of John Johnson and Karin Hansdatter. Helmick Elias Johnson died in 1936. Name Variation Hannah Johnson was also known as Hanna Thaletta. Hannah Johnson was born in September 1850 at Madison, Dane, Wisconsin. She was the daughter of John Johnson and Karin Hansdatter. Christiana Johnson was born circa 1844 at Norway. She was the daughter of Halver Johannessen and Ingeborg Tjerandsdatter. Halver Johnson Jr. was born circa 1847 at Norway. Charles John Johnson was born circa 1850 at Norway. Ole Johnson was born in 1852. Ole Johnson died in 1855. Father* John LaFayette Harrison Sr.
Name Variation John LaFayette Harrison Jr. was also known as Bacon. Name Variation John LaFayette Harrison Jr. was also known as Lafayette. Name Variation John LaFayette Harrison Jr. was also known as Finch. John LaFayette Harrison Jr. was born in 1848 at Dane, Wisconsin. He was the son of John LaFayette Harrison Sr. and Charlotte Kenela Burdick. John LaFayette Harrison Jr. married Marah F. Tomas on 21 April 1875. John LaFayette Harrison Jr. died on 17 October 1879 at Wauzeka, Wisconsin, Killed working on railroad. He was buried after 17 October 1879 at Lone Rock Cemetery, Buena Vista, Richland, Wisconsin. Musician Co C 37th Wis Inf - Civil War.